Every time I give a tour at the museum, I note one of the most touching parts of the house: the cue cards sitting in Frederick Banting’s bedroom. This is our “Dear Dr. Banting” exhibit, full of letters visitors have written to Frederick Banting. The letters are one of my favourite parts of the museum – you could spend hours reading through the thoughts and ideas people share. It really emphasizes how important Banting’s legacy is, and how many people he has personally affected. 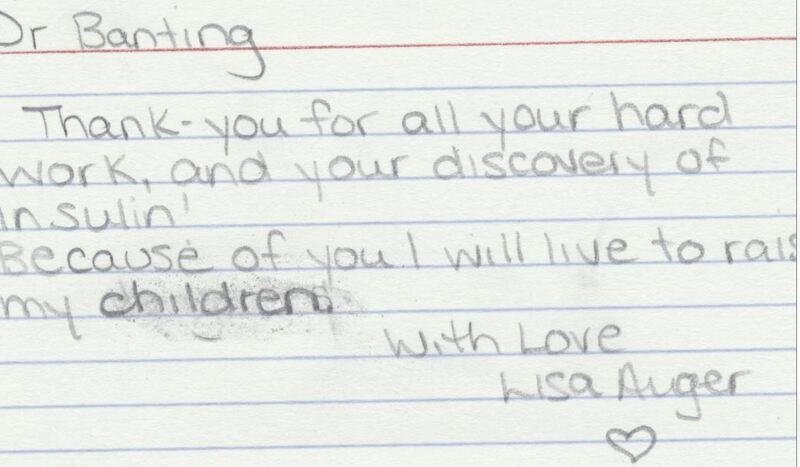 People wrote letters to Dr. Banting throughout his life, saying thank you: thank you for saving my child, thank you for saving my life, thank you for inspiring me. Now, people come here to Banting House to feel connected to him. In Banting’s bedroom, where he awoke with sudden inspiration and wrote down his thesis that would lead to the discovery of insulin, visitors can see cards and letters addressed to him. They are written in many different languages, and by people of many different ages, but all of them have the same sentiment: Thank you, Dr. Banting. 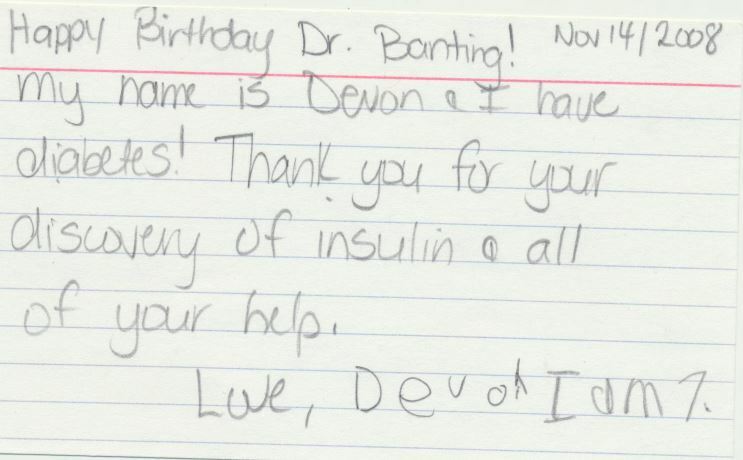 Thank-you for all your hard work, and your discovery of insulin! Because of you I will live to raise my children. 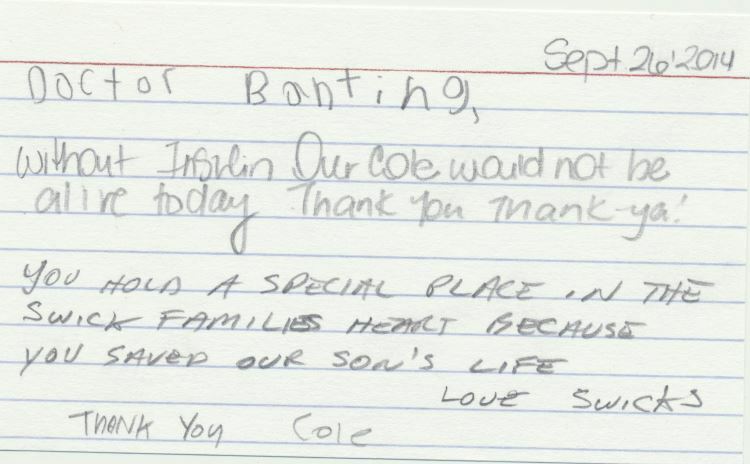 Without insulin our Cole would not be alive today. Thank you thank-ya! Happy Birthday Dr. Banting! My name is Devon and I have diabetes! Thank you for your discovery of insulin and all your help. Love, Devon I am 7.